The goal is to craft the ultimate Margarita … not find the best tasting tequila. Therefore, we followed the suggestion first seen on The Goodist, and created a taste test to showcase tequilas in a standard Margarita recipe. 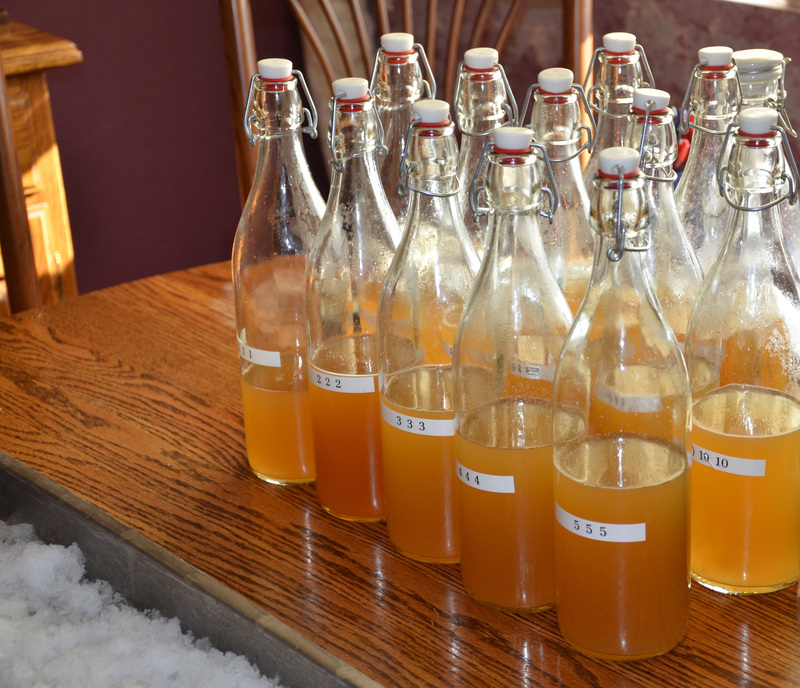 Further, we decided that we would not put ice in the samples, as that would dilute the recipe based on when the sample was drunk. Therefore, we addded a cup of water to the Margarita Mix recipe, (hopefully) simulating the melting of ice. Hey, it’s our taste test; we made up the rules. Jose Cuervo Gold … In our first preliminary and blind taste test with 4 tequilas, all 4 judges rated this tequila the worst sampled. “It tasted like fish.” I advocated keeping this in, as it is the # 1 selling tequila in the world, but I was overuled. Excluded. Pueblo Viejo Reposado … A relatively inexpensive reposado, it also didn’t make it out of the preliminary tastings. Cheap, but no good. Reserva del Maestro Dobel Diamond Reposado … an expensive artisan tequila that had a too bright, perhaps over-filtered flavor. I’m not a brewmaster, but I’ll tell you this tequila tasted awful. I bought it at BevMo, where another tequila buyer commented on what a lovely bottle the tequila came in; that’s true. They should have invested in the product, not the packaging, IMHO. 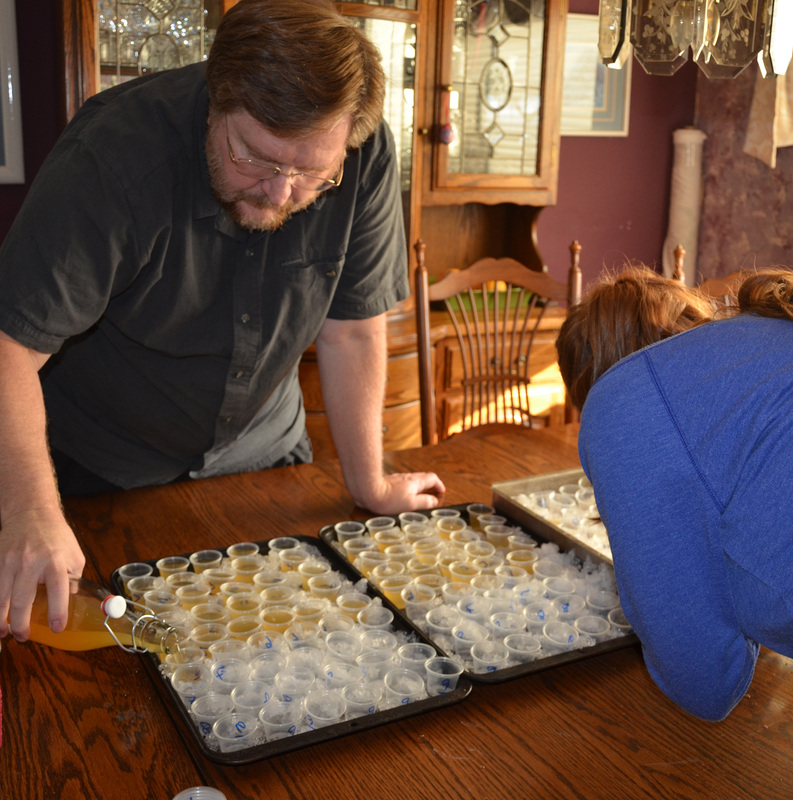 The 13 remaining tequilas were all mixed about 3 hours before the taste test, and refrigerated until they were poured into the tasting cups. Each drink was rated in 4 categories: Aroma/Nose, Initial Taste, Finish and Smoothness. Perfect rating would be a 20 from each judge, and we had 11 judges. This was a blind taste test; the only person who knew which tequila was in which bottle, initially, was me. By the time the tasting began hours later, I only remembered the number of one of the tequilas. After the tasting, I didn’t know which was which and I didn’t care. 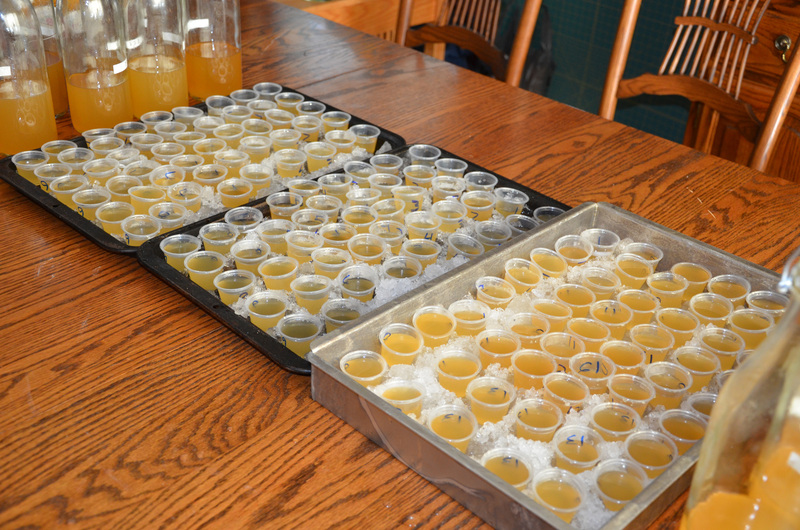 All tasting cups were put in a tray with crushed ice to keep the samples cool. We mixed the equivalent of 5 cocktails for each tequila. We then poured 11 samples, which were roughly the equivalent of 2-1/2 cocktails total of each. If you consumed all of each sample … which most did not … then you were drinking 2-1/2 cocktails. Too much for a taste test? Probably. But everyone filled out their ballot after drinking perhaps half of each sample. No one thought their judgement was impaired. 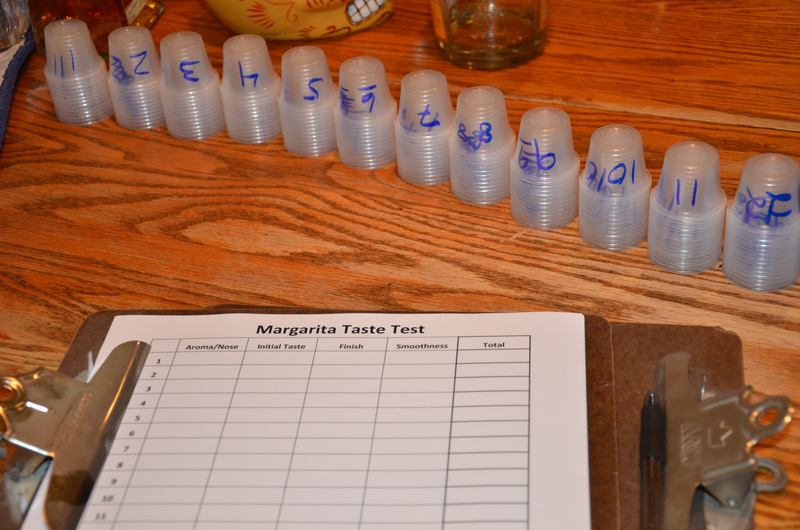 Later on … when all of the excess samples were dumped into the “number 14 Margarita” … well, it was a good night. When the tasting began, the 11 judges were seated around the dining room table. 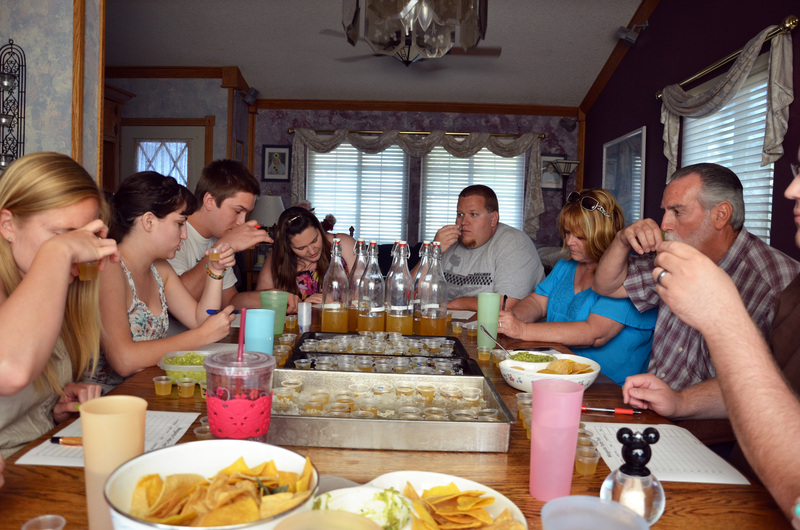 Everyone had water to drink, as well as access to tortilla chips (salt!) and guacamole. The results? I was surprised.